Ideal length for suits, jackets, shirts, trousers etc. Quality full length zip, shaped shoulders, top slit for hanger hook. Lower grommet for hanger hook allowing easy carrying when draped in half. Sealed at lower edge. Mixed trim colours (navy, red & white). 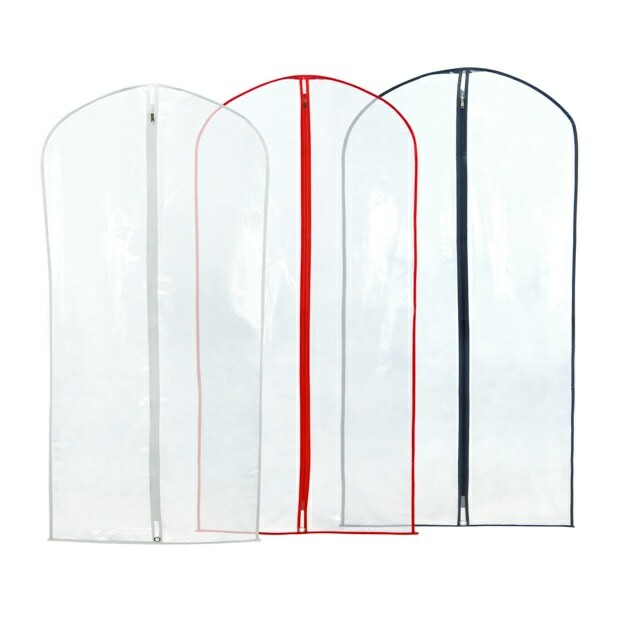 An ideal everyday garment cover for storage & travel. Protects clothes against dirt, dust & moths. Size: Length x Width: 40’’ x 24’’ (100cm x 60cm) approx. I always order suitcovers from Hangerworld for my costume making business. They're great value ! Arrived quickly and keep all our clothes in good condition.